A change of scenery moved Bank Leumi‘s South Florida office from Miami to Aventura, locating them on the 5th floor of One Turnberry Place. 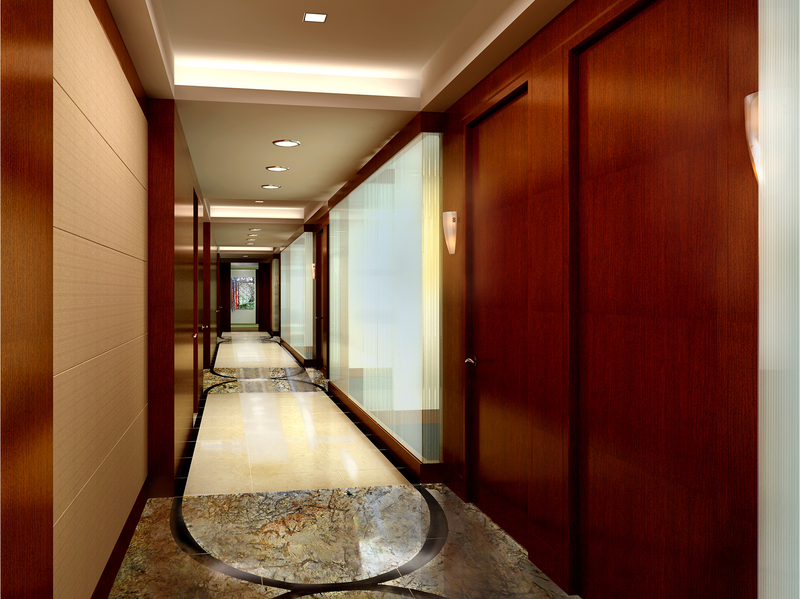 A gut renovation of the 16,000 square foot floor plate include a secure entry vestibule, a spacious reception with sprawling views, client rooms, executive offices, open work space, along with a board room and training room with advanced technology. 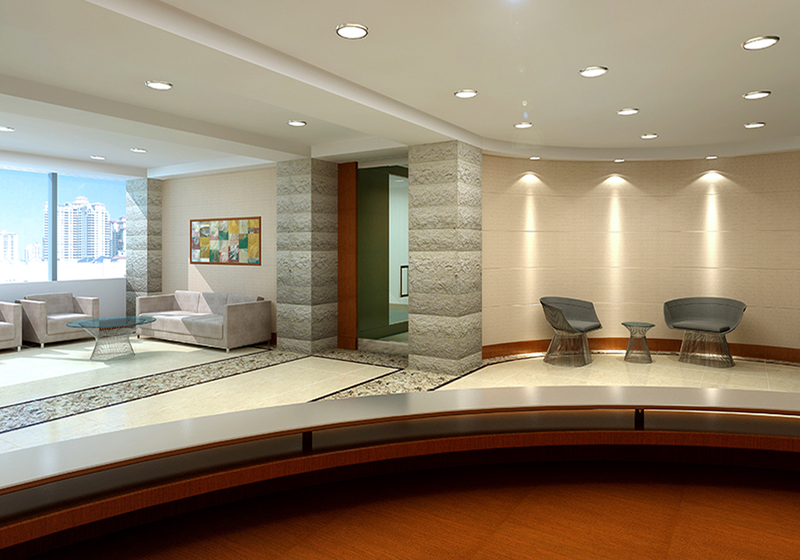 The elevator lobby’s warm cherry wood offsets the rough Jerusalem stone, which frames the space and wraps into the adjacent secure entry vestibule. 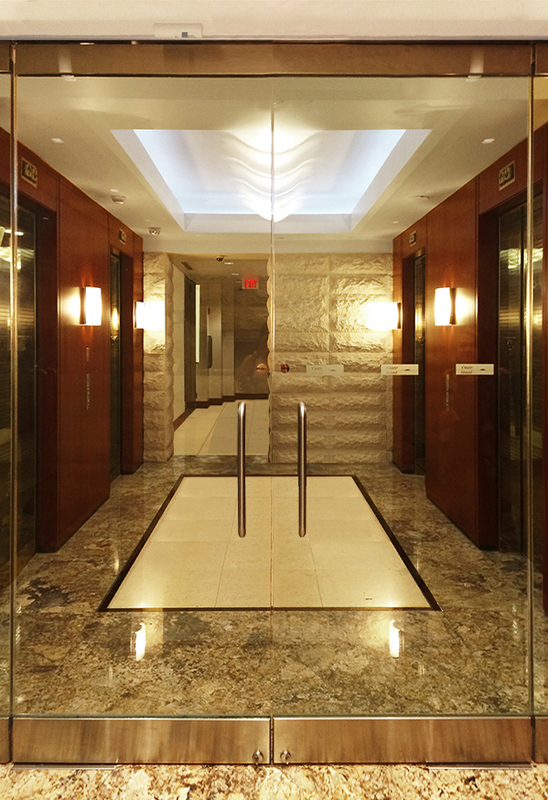 The warm creamy tones of the marble tile floor flow from the elevator lobby through the entry vestibule and into the reception. With views of the ocean, the reception welcomes you with silk walls and suede sofas, with a continuation of the rough Jerusalem stone that flanks and frames the view. The accessory spaces combine the warmth of the cherry wood in the furniture with creamy upholstery and carpeting. 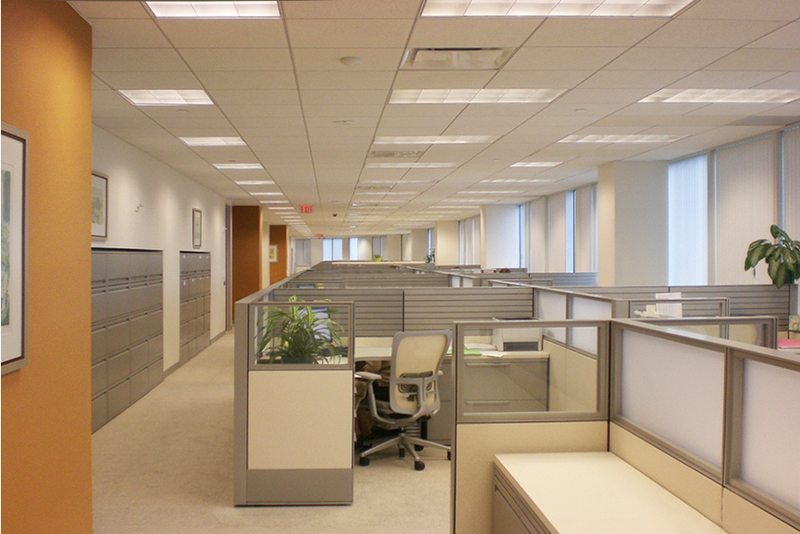 The workstations are clean and modern with light creamy panel fabric offset by metallic silver raceways. 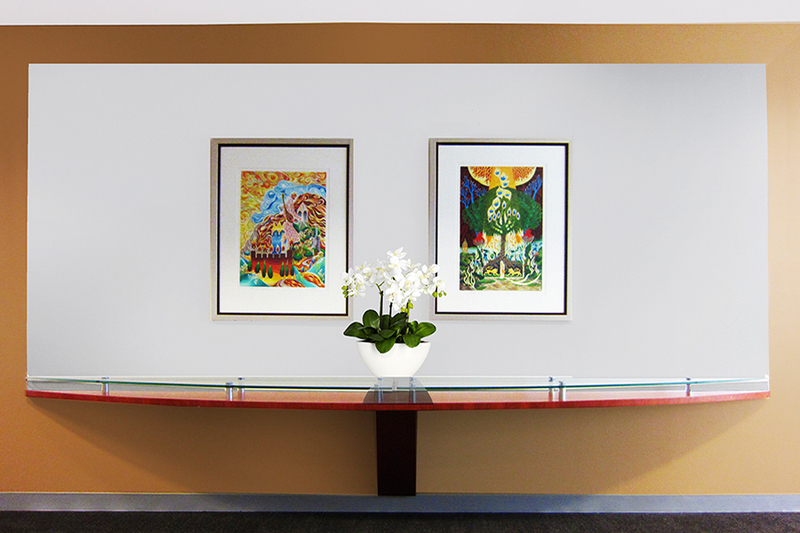 The goal was to achieve a warm and inviting space, not just for Bank Leumi’s clients, but for the health and well-being of their employees.